Hearing the call to prayer continually echoing over the earth fueled my zeal afresh to see Jesus receive the glory due Him. I was compelled to go back through some familiar Scriptures that declare His coming reign and the method He will use to receive for Himself a bride from EVERY tribe, tongue, people and nation (Rev 7:9). Here’s a few thoughts. Right now there is a massive transition taking place in regard to worship and prayer. God is transitioning the worship of the church into throne room worship. Rather than singing about our privileges as believers, the new songs today are almost entirely God-centered songs the declare His worth, majesty and glory. And rather than simply twenty minutes on Sunday morning, scores of believers are hungering to worship and pray night and day. The Lord is orchestrating this shift. But Why? His throne room is a place of ceaseless worship and prayer. He is shifting the atmosphere of worship in the earth to His liking, because He is readying the planet for His coming. The prayer movement that is filling the earth right now is a precursor to the ultimate fulfillment of Amos 9:11. We are witnessing the release of the “spirit” of the Tabernacle of David prior to its actual literal rebuilding when Jesus returns. Until now, Islam has been the most aggressive prayer movement the earth has ever seen. Five times daily the Muslim call to prayer rings out across the middle east, without protest, beckoning the hearer to come and bow down to Allah. The only thing that will break the stronghold of Islam is a greater prayer movement, not only five times a day, but night and day. This is what the Lord is raising up in this hour to see a massive harvest in the Muslim world. 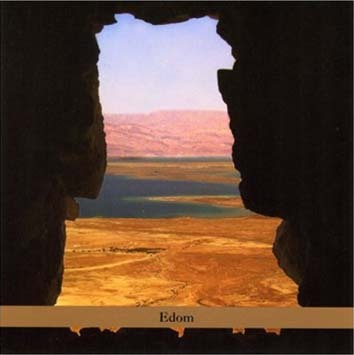 Edom is located in modern day Jordan. Amos 9:12 declares the rebuilt Tabernacle of David is the means He will use to see the remnant of Edom, as well as many gentile nations, come to know Jesus. The current prayer movement that is bubbling up around the earth is not only a preparation for His return, but a means to see massive harvest in the Middle East. He is going to poor out His Spirit on all flesh and one of the chief means to this great outpouring is night and day prayer. The Lord will have a people who love Him wholeheartedly in the Middle East. I was extremely encouraged by the number of believers who are building prayer in the Middle East. Truly God’s intention is to see a massive harvest in this region as a mercy stroke before His return. What do you think, will there be a great harvest of souls in the middle east before the Lord returns? I definitely think there will be but we need laborers who will go and work to see this great harvest. That region has the smallest percentage of missionaries and the largest percentage of unreached peoples. Lord raise up messengers and laborers to go to these nations! @Christian I totally agree there is a huge need. I’m also very encouraged by the way the Lord is mobilizing so many in the prayer movement today into the region. Why night and day prayer?